View cart “Jon Snow” has been added to your cart. 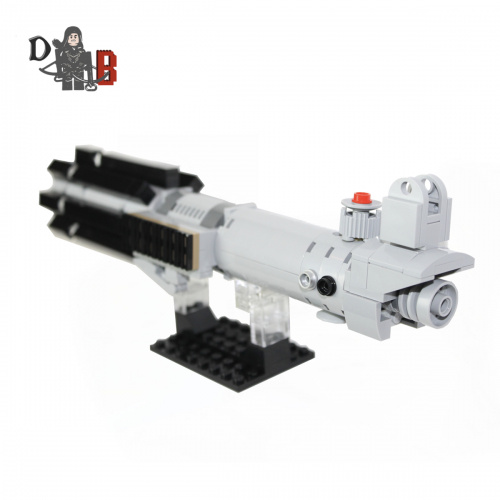 This listing is for all the parts to build your very own Dl-44 Heavy Blaster Pistol with stand inspired by Star Wars, it comes unassembled and upon purchase I will email you a PDF copy of the instructions and send out all the pieces necessary to build it as pictured. 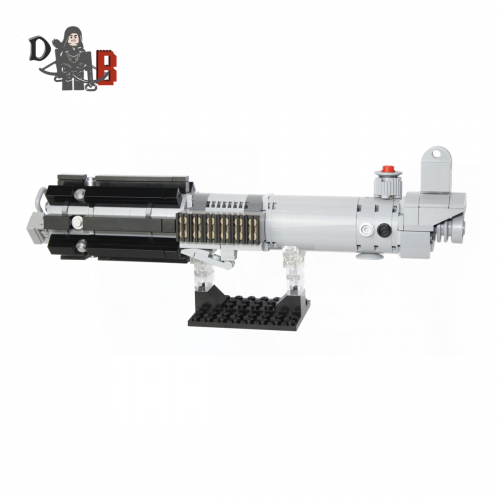 This is a 1:1 replica of Han’s Blaster and measures 29cm in length and is 18cm tall on the stand. Each Blaster is carefully packaged into a re-sealable bag and shipped in a bubble lined envelope for extra protection. This listing is for all the parts to build your very own Lightsaber hilt with stand inspired by the Return of the Jedi, it comes unassembled and upon purchase I will email you a PDF copy of the instructions and send out all the pieces necessary to build it as pictured. 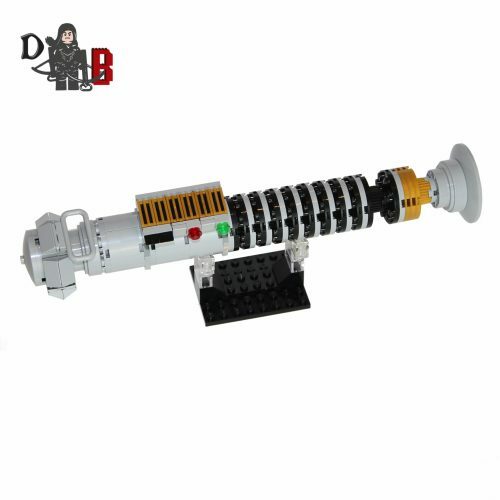 This is a 1:1 replica of Luke’s Lightsaber and measures 27cm in length and is 10cm tall on the stand. Each Lightsaber is carefully packaged into a re-sealable bag and shipped in a bubble lined envelope for extra protection. 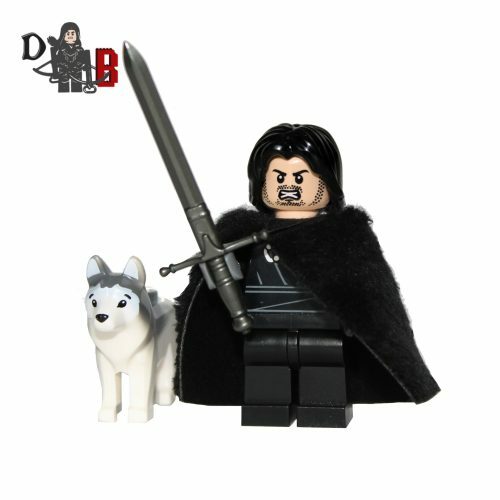 This custom designed Minifigure is based upon Jon Snow from the popular Game of Thrones Series. Includes Jon’s sword, fur cape and snow wolf. 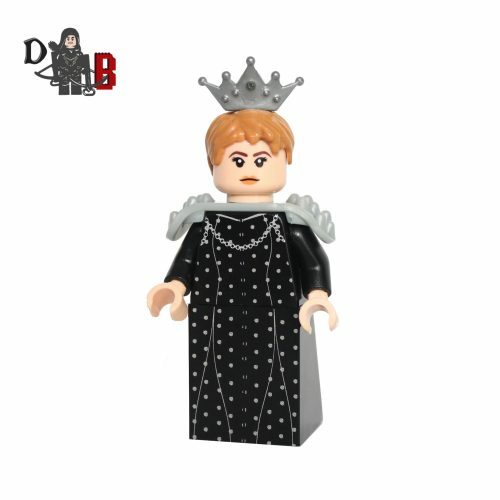 This custom designed Minifigure is based upon Cersei from the popular Game of Thrones Series. The dress has been machine printed on using my own design. This custom designed Mini set is based upon Christian Grey and Anastasia in the play room from the popular Fifty Shades Series. Features whip, handcuffs and restraints! The play room will be partially prebuilt. 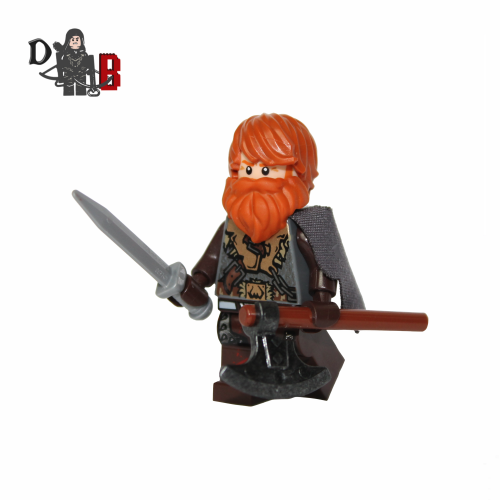 This custom designed Minifigure is based upon Tormund from the popular Game of Thrones Series. Includes Torment's sword and axe. 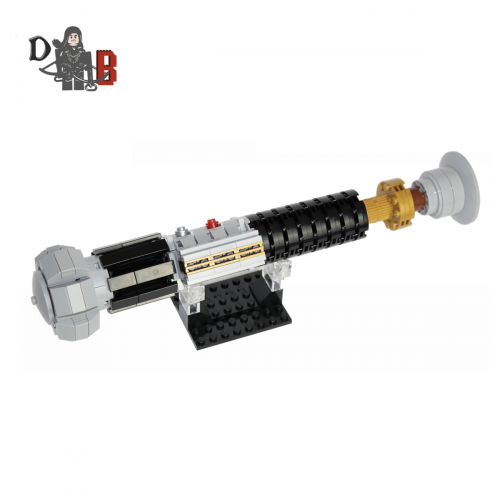 This listing is for all the parts to build your very own Graflex Lightsaber with stand inspired by the Force Awakens, it comes unassembled and upon purchase I will email you a PDF copy of the instructions and send out all the pieces necessary to build it as pictured. This is a 1:1 replica of the Graflex Lightsaber and measures 26cm in length and is 10.5cm tall on the stand. 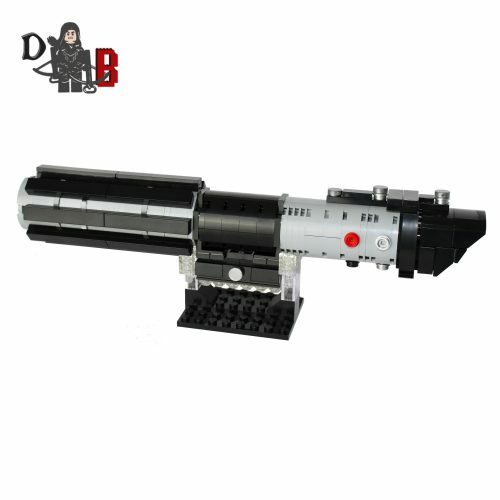 This listing is for all the parts to build your very own Darth Vader Lightsaber with stand inspired by the Empire Strikes back version, it comes unassembled and upon purchase I will email you a PDF copy of the instructions and send out all the pieces necessary to build it as pictured. 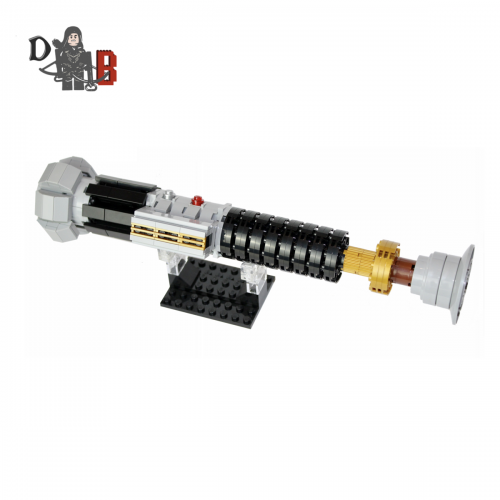 This is a 1:1 replica of the Graflex Lightsaber and measures 25.5cm in length and is 8.5cm tall on the stand. 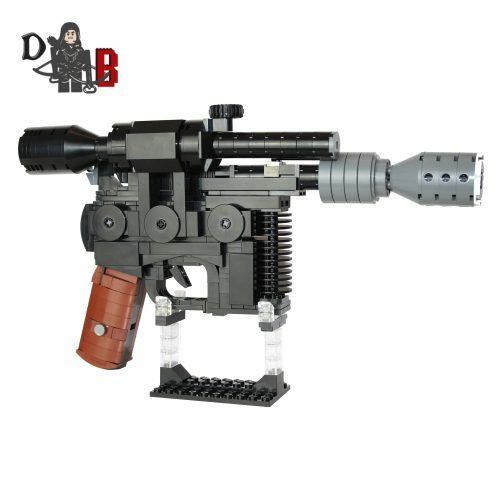 Made using 238 genuine LEGO parts only. 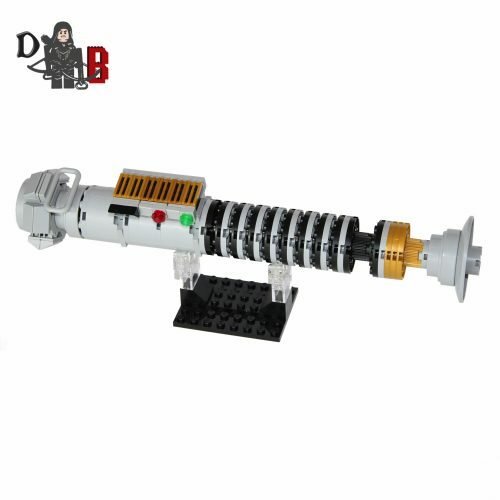 This listing is for all the parts to build your very own Lightsaber hilt with stand inspired by Obi-Wan Kenobi's Lightsaber from Revenge of the Sith, it comes unassembled and upon purchase I will email you a PDF copy of the instructions and send out all the pieces necessary to build it as pictured. This is a 1:1 replica of Obi-Wan Kenobi's and measures 28cm in length and is 8cm tall on the stand. Made using 228 new genuine LEGO parts only. 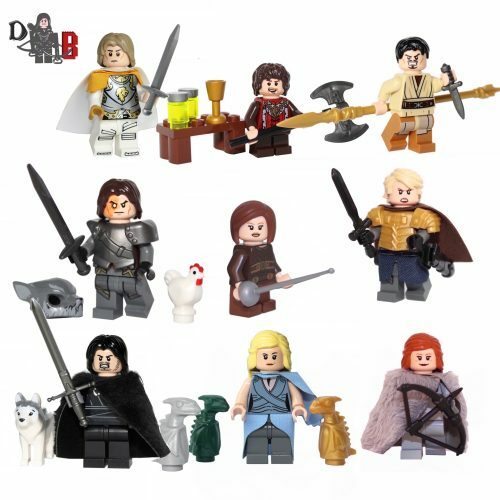 These custom designed Minifigure’s are based upon Jon, Tyrion, Jaime, Oberyn, Ygritte, The Hound, Arya, Brienne and Daenerys from the popular Game of Thrones Series. Jaime includes custom made cape and shoulder armour. Tyrion includes axe, gold goblet, wine bottle and table of wildfire mixtures. Jon includes his wolf snow and custom made sword and synthetic fur cape. Daenerys includes her three baby dragons and custom printed chest and custom made shoulder cape and dress. Oberyn Martell with custom spear and dagger. The Hound with custom armour and chicken. Arya stark with her weapon needle. Brienne with custom made armour, sword, scabbard and tasset. 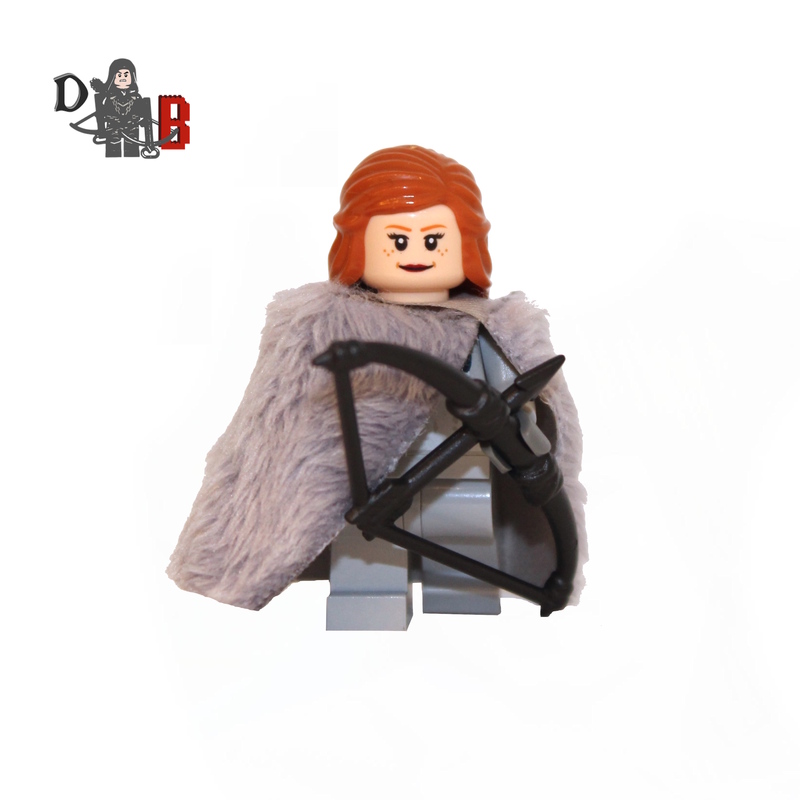 Ygritte with custom made synthetic fur cape. 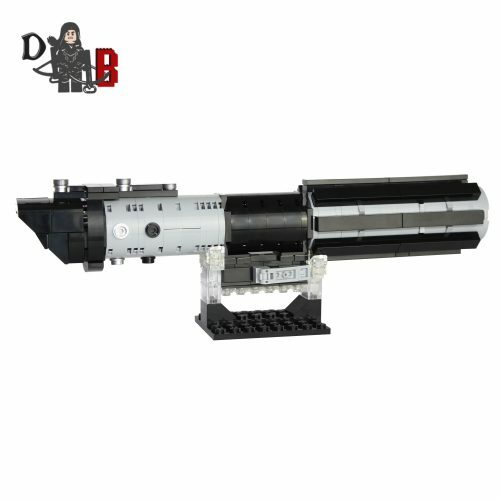 Made using a mixture of LEGO and custom Parts brand NEW, and are supplied unassembled in grip sealed bags. 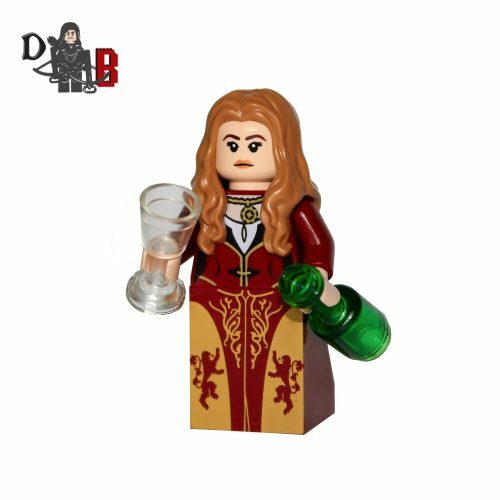 This custom designed Minifigure is based upon Cersei Lannister in season 6 from the popular Game of Thrones Series. The crown is attached via a small drill hole in the hair piece so is quite delicate. The torso and dress have been machine printed using my own design. 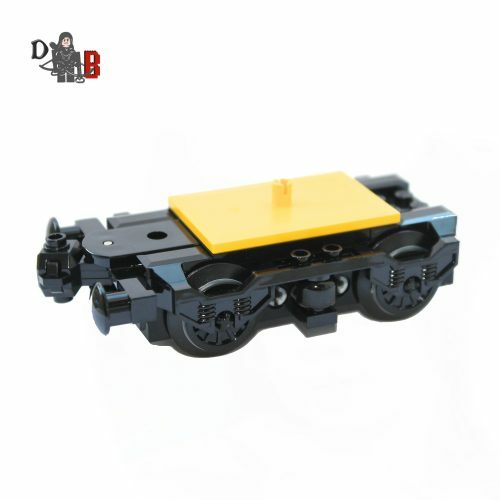 This is a great piece to own when purchasing LEGO locomotives without power function motors or for creating your own carriages. 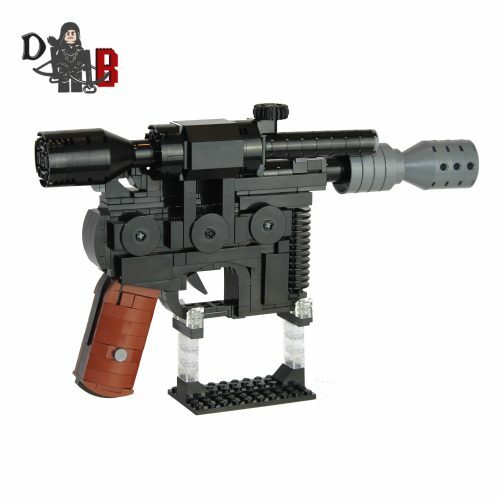 This listing is custom made from authentic LEGO pieces so does not include a box or instructions.